Visitors on horseback around the ancient site near the Great Sphinx of Giza. 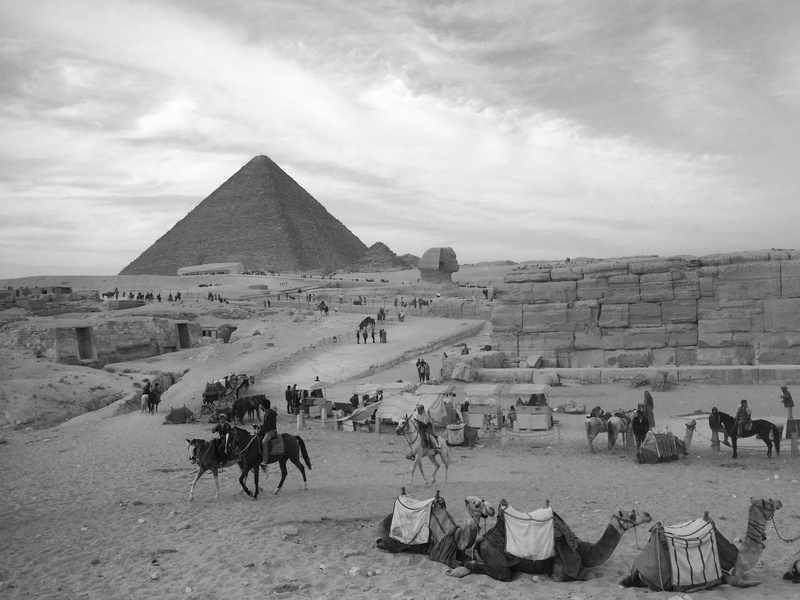 The Pyramids of Giza received approximately 50 visitors that day. A dramatic fall in numbers since the beginning of the “Arab Spring” protests in neighbouring Cairo four years ago back in January 2011.